In her opening speech at the Knesset's winter session, Labor Party head and opposition leader Shelly Yechimovich took the opportunity to attack Prime Minister Binyamin Netanyahu for a number of his policies. In particular, while she agreed with Netanyahu that Iran posed a danger to Israel, she said, Netanyahu was far too dramatic in presenting the threat. Speaking earlier, Netanyahu discussed the Iranian nuclear program, saying that it was a threat not only to Israel's security, but to the world's security. “The entire region will be endangered, as will the world,” if Iran attains nuclear weapons, Netanyahu said. “However, there is no doubt that we will be Iran's first target. The Iranians say this out loud. We will not allow Iran to develop nuclear weapons,” he said. Yechimovich also decried the announcement last week by Teva Pharmaceuticals that it would lay off about 5,000 workers worldwide, with some 800 expected to be Israeli workers. The Labor head complained that Netanyahu did not mention the layoffs in his speech. 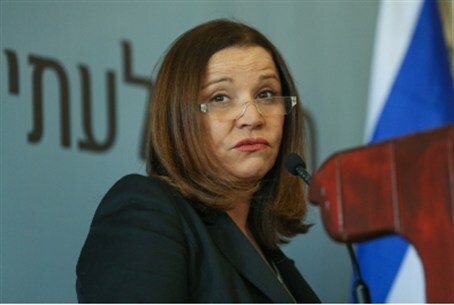 “You say that you are concerned with the welfare of Israelis, but you have nothing to say about Teva? Eight hundred families will now find themselves in a new reality of despair and poverty. It is a massive 'terror' attack,” she said. Regarding talks with the PA, Yechimovich complained that she and other MKs were in the dark as to the progress of the talks. In his speech, Netanyahu said that if an agreement is signed, it will be one that promises Israel a long-term, stable peace.